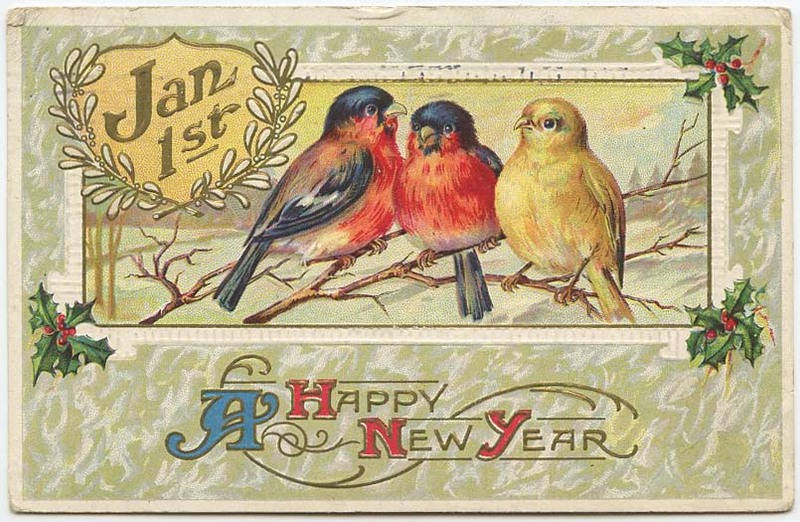 A New Year’s postcard from 1913. It is among the stories that will remain untold. Sent from Christina G. to Mrs. George Haite for New Year’s 1913, the postcard leaves me wondering what happened a century ago that one friend would be caught off guard to learn of the other’s marriage. While this incident will stay a mystery, there are other stories to be learned from the things we find in the antiques industry. Sometimes, all that’s needed is a little research and the willingness to record the results. 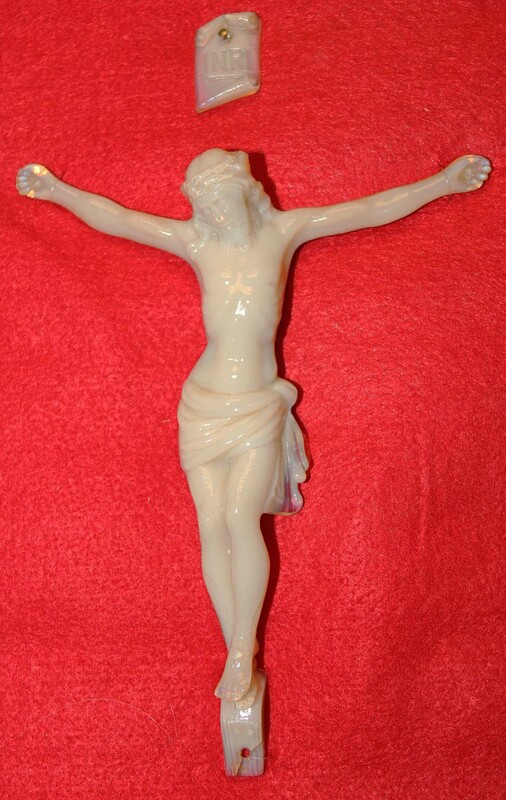 During the Regional Vintage Lamp Show held last October at Richmond, Indiana, the National Association of Aladdin Lamp Collectors displayed an Alacite crucifix the organization had acquired. The item was a rarity, having never been put into production. Attending the show was Aggie Thatcher, who provided a first-hand account of the crucifix, which was created by her father, Martin Jones, at the Aladdin factory in Alexandria, Indiana. Bill Courter, founder of the Aladdin group and author of several lighting books, noted the scarcity of the prototype. “In Aladdin collecting, it’s one of our rarest items,” he said. Only five are known. Thatcher couldn’t recall when the crucifix was made, but Courter said it probably dated to 1938 or 1939. Of the three examples her father brought home, the one at the show was passed down through several generations by Thatcher’s sister, the family’s only Catholic, before being sold to the collectors’ club. Courter recorded the information about the crucifix so that future generations of glass collectors and historians will know its origins. There’s a lesson here regarding the value of talking to people who have first-hand knowledge of 20th-century collectibles such as the Alacite crucifix. As with the message on the postcard about the marriage of a friend, stories we don’t harvest now are likely to be lost forever. Pardon our recent absence and the subsequent lack of posts. Life in the Johnson household has probably been much like yours, a season of nonstop events. For us it has entailed the start of a new school year, for both Daughter No. 1 at the local high school and Daughter No. 2 in her last year of homeschooling. Add in piano lessons, birthdays, cross country practices and meets, not to mention all the adult stuff, from shed-building to training for a fall marathon. Somewhere in all that Liz and I managed to get some work done. That included a trip to Corydon, Indiana, for the auction of the Squire Boone Jr. corner cupboard that was the subject of our last post. Squire Boone's name inside the corner cupboard. The cupboard sold for $35,000 to the Old Goshen Church & Cemetery Memorial Foundation, which intends to permanently display the piece in Corydon. Details haven’t yet been worked out regarding that display. Nonetheless, local residents are happy to have the cupboard remain in the history-rich town. No one knew what to expect in regards to the price of the cupboard. Bidding was limited to two parties — the foundation and one collector. Museum curators in the crowd apparently sat on their hands. In the end, however, auctioneer Brian Beckort was pleased. Of course, there was much more to the two-day sale than that single pioneer-era cupboard. From the hundreds of lots offered, I settled on two favorites — a pair of early candlesticks and a World War I memorial textile. A pair of early candlesticks. The candlesticks were easy to overlook, as was the case for many items in the estate of Frederick Porter Griffin. Located in the formal living room of Griffin’s home, on a Victorian lamp table in a corner, the candlesticks were largely obscured by a music box. But there was something special about those sticks. In clear glass with pewter inserts, they were American and from the first half of the 19th century. Unfortunately one was badly damaged, with a chip and severe crack to the stem, having been hit or dropped during the last 150-plus years. Bidders paid the damage little attention, as the pair of candlesticks sold for $850. Provenance sat in the driver’s seat much of the day, with a lead foot on the accelerator. Anything with a local connection commanded premium prices. The candlesticks were once owned by William Porter, a local lawyer and judge. As a state legislator, he was the last Whig to hold the title of Speaker of the House in Indiana, serving for three months in 1847 and 1848. Judge Porter was Frederick Porter Griffin’s great-grandfather. A World War I memorial textile. The memorial textile that caught my eye was in the form of a pennant printed with the names of 40 Harrison County, Indiana, residents who died in service during World War I. Featuring a blue border with white stars, the piece had images of American flags, Uncle Sam and an American soldier. Bidding went to $600. I have a deep appreciation for the men and women who fought for this country, just as I do for those who continue to serve today. Last year I wrote a column after reading a moving account of one man’s role in World War I. There’s a lesson there for those of us who appreciate objects of the past. I’ll republish that story tomorrow.